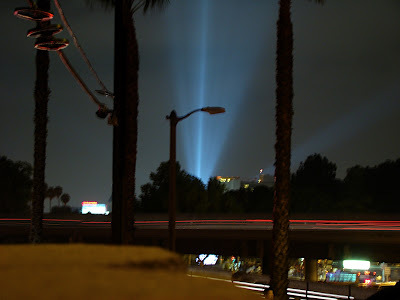 A long exposure shot of a searchlight in downtown Hollywood. Taken from the Ford Amphitheatre during Outfest. I need to start carrying a tripod to stabilize these.